We’ve all heard about alternative remedies that come and go like dust in the wind. There are many choices out there for the consumer that wants to try these alternatives, but since science rarely backs up herbal solutions, there is not much stone cold proof available to us. However, there is one herb which has done a fantastic job of creating buzz in the herbal remedy world by curing all kinds of ailments and problems. That herb is called Goldenseal, and here is a little information on it. 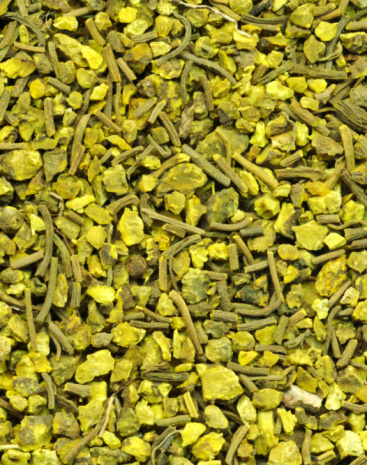 Goldenseal is an herb that grows mostly in Canada and the United States. It can be easily identified by its rootstock, which is yellow in color and very thick. It is most often found in it’s processed form, the most common of which is a powder, but it can also be found in tablet, salve, and tincture form. This means that there is a variety of ways to buy it, which can be very convenient for a customer looking for it for different uses. Goldenseal was being used quite a lot by the Native Americans at the time when Europe was trying to invade the Americas. They used it for its medicinal qualities as well as a coloring agent. There were several different medicinal uses for it, such as: treatment for cancer, treatment for swelling of the breasts, a topical antibiotic, and many more. It was quickly put to use for many treatments of the Colonists, and was used to treat just about anything that went wrong with them, including: congestion, gallstones, constipation, etc. This caused the plant to grow in popularity very quickly. There are also myths of it being able to help drug users pass a urinalysis test, but those were struck down in lab tests. There are no variations of the Goldenseal herb today, although researchers have considered it because of the herbs rapid rate of disappearance. It is on the CITES list for being one of the most over harvested herbs in the world today. There are many reasons that Goldenseal is harvested, but there are also instances of it being destroyed without replacements by those who seek to mine where the herb grows. The combination of that and over harvesting is causing the Goldenseal herb to quickly become extinct, and that would be a tremendous loss considering its value as an alternative medicine. A lot of herbalists out there today will give the Goldenseal herb as an alternative solution for anti-inflammatory, astringent, antiseptic, or laxative purposes, and it works quite well. It is a very bitter herb with a stringent effect, so it will strip mucus off of the intestines as well as increase bile production and increase appetite. This is good for those that suffer from stomach ailments, or people who are looking for a healthier, more active digestion system. 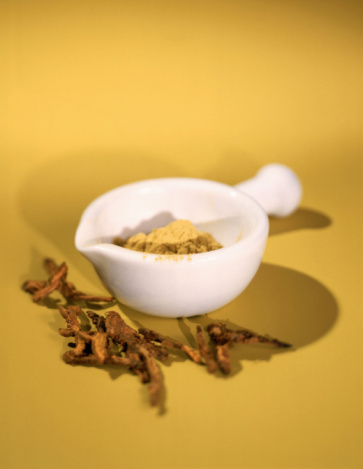 Berberine, one of the most alkaloids found in Goldenseal, is thought to be the most active ingredient because of its ability to kill several fungi and bacteria. This antibiotic activity, although weak, is sometimes strong enough to kill things like Chlamydia. The unique qualities of the Goldenseal herb enable it to be combined with almost any other drug, and it will have an overall positive effect on the body in general. This is one of the reasons why it is so popularly recommended by herbalists. If you are looking for Goldenseal today, you will more than likely find it in its powder form. However, it is also available in a tincture, a salve, and pill form if you want to do a little more searching. Each different method will have its own different uses, such as the pill form being used to fight infection inside the body, while the salve or powder forms can be used to prevent infection in things like small cuts and scrapes, animal bites, and small wounds. There is a tonic form that can also be taken internally, and it is very useful for those who don’t want to mix their own from the powder, because some of the chemicals inside Goldenseal are not very water soluble. Several different brands produce Goldenseal or products that contain Goldenseal such as: GNC, Nature Made, Alvita, and Nature’s Herbs. These are definitely some of the more popular brands as well as the most trusted, because of the length of time they’ve been in business. Goldenseal has been proven to help treat literally thousands of ailments both several hundred years ago as well as today. While not many scientific studies have been done, the proof is right there before the eyes of the doctors who prescribe it daily. There are not many urban legends or myths about the herb, the only notable exception being mentioned earlier about it helping to pass drug tests. This became a popular legend when a novelist wrote a book in the 1890’s in which someone passes a drug test with the use of Goldenseal. This myth has long since been dispelled, and it does not work for that. However, most of the other claims are true, because of the herbs widespread usefulness and medicinal qualities. You can just about bet that if a medical condition exists, someone has tried to treat it with Goldenseal. The dosage of Goldenseal is widely varied with the affliction that it is prescribed for. In the case of a respiratory issue, the dosage is small than that of an intestinal issue. Four hundred milligrams four times a day is the recommended dosing amount for someone with an intestinal affliction, while the dosing for someone with chest congestion would be a 1 gram tablet taken three times daily. There is no usage limit, but there are some side effects that will be mentioned later. Goldenseal is not currently illegal in any country, in fact, it is one of the top three highest selling herbs in the entire world. People from all over realize the health benefits from the herb, and while these health benefits have not been verified by much science, it has still not kept people from using to try to cure themselves a more natural way. There were close to 300,000 pounds of Goldenseal consumed by humans last year. The herb is currently increasing in popularity, and this means that if we want to continue to avoid high increases in price or limited availability, we must act fast to make sure we are doing everything we can to save this magic herb. There are a few side effects of Goldenseal that might produce undesirable reactions in some consumers, and so they should be aware of them. While not toxic, too much Goldenseal in the body at one time can make the user feel sick, and so the recommended dosage should be followed at all times. Some of the side effects, although very rare, include: vomiting, nausea, breathing failure, or a feeling of numbness in extremities. Pregnant women should not use Goldenseal, as it may cause complications. If you are allergic to Berberine, you should not take Goldenseal, and the side effects of that include some of the others, as well as headaches, low blood pressure, and slow heart rate. If you feel any of these effects while taking Goldenseal, discontinue use immediately and notify a doctor. If you reach toxic levels of Berberine in the body, in can induce seizures or irritation of the esophagus and mouth, so you need to be careful when using Goldenseal to make sure that you do not overdose. These are all things to watch out for, and you should always stick to the dosage amounts listed on the package and never exceed them. The price of Goldenseal is not outrageous, and you can find it mixed with other herbs for an even lower price. It is most typically paired with echinacea, and if you buy it that way, you’ll spend around $10 USD a bottle that has around 75 capsules. If you want the tincture, you will pay a little less, and the pill form is going to be about $20 USD for pure Goldenseal in a capsule form. These are pretty average prices right now, but they will only go up if the Goldenseal herb continues to be over harvested or destroyed. Another thing that will be affected by the continuing abuse of the herb is availability. Right now, it is fairly easy to find it on the internet or in stores. However, if the over harvesting and the destruction of Goldenseal is allowed to continue, it will be very unfortunate for all in that it will become hard to find, more expensive, and maybe even illegal to use! In closing, the Goldenseal herb is a powerful alternative remedy for a myriad of ailments and conditions. Its continued use has become one we’ve taken for granted, and its time on Earth may be drawing to a close if we as humans are not careful to preserve it. From an upset stomach to a bite from your cat, the chances are good that you can use Goldenseal to help make you health, and therefore your life, much better. Go try some today! You can buy at Walmart for around $4.00 a bottle. Good Stuff.